07.00 am depart from your Beach Hotel. Drive for 200 km on the Mombasa Nairobi Road. 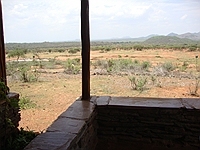 Enter the Tsavo West at the Tsavo River Gate. Game drives through the Tsavo West. This Park has fantasic Landscapes. Lunch at the Kilanguni Serena Lodge. Relax at the pool or watch animals at the waterhole. 04.00 pm depart for a game drive with a visit to the Mzima Springs. These springs supply Mombasa with drinking Water. Here you see Hippos, lots of fishes and sometimes Crocodiles. 06.30 am early morning game drive, Breakfast, depart from Tsavo West at the Chyulu Gate. Drive to the Shetani Lava Flow, this Vulcano last erupted arround 200 years back. 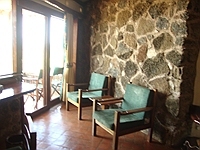 From here you drive past the Chyulu Hills and Masai land to the Amboseli National Park. Enter the Amboseli National Park. Game drive enroute to the Lodge. Lunch at the Amboseli Serena Lodge. 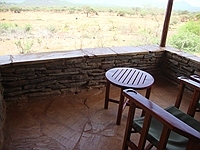 This Lodge is build in the typical style of Masai Manyatta’s the housing for Masai, the local people of this Area. Relax at the pool or watch animals at the waterhole. 04.00 pm depart for a game drive around the Amboseli National Park. With some luck you get nice animal pictures with the Kilimanjaro (Tanzania). 06.30 am early morning game drive, Breakfast, game drive to the Imuruti Gate. Drive to Emali and then on Mombasa Nairobi Road to Mombasa. Light lunch on the way. Arrive late afternoon in Mombasa to your Hotel.